Second trailer added for upcoming Shunji Iwai directed film “The Bride of Rip Van Winkle” starring Haru Kuroki, Gou Ayano & Cocco. The new trailer is the first to show actual footage from the film. “The Bride of Rip Van Winkle” will be released March 26, 2016 in Japan. Main poster and trailer added for upcoming live-action film “The Town Where Only I Am Missing” starring Tatsuya Fujiwara & Kasumi Arimura. Movie is based on manga series “Boku Dake ga Inai Machi” by Kei Sanbe and directed by Yuichiro Hirakawa (“Until The Break Of Dawn“). Premise for the film has Tatsuya Fujiwara’s character of Satoru Fujinuma having the special ability of revival. His special ability allows him to go back in time and prevent terrible events from occurring. He goes back in time to find a serial killer and save his mother. 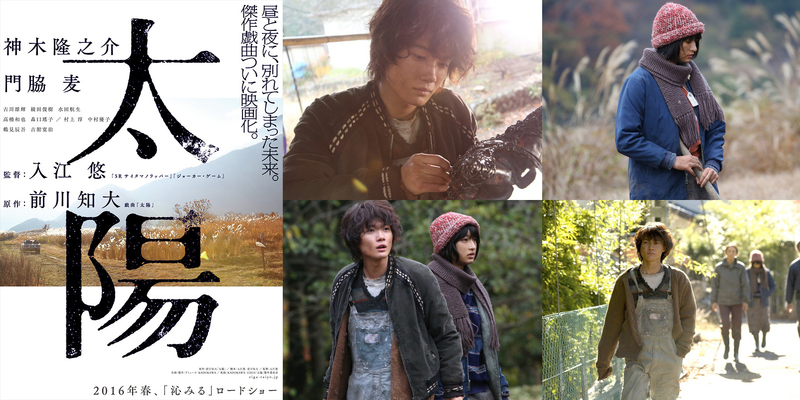 “The Town Where Only I Am Missing” will be released March 19, 2016 in Japan. Ahn Jae-Wook’s first still images from upcoming KBS2 weekend drama series “Five Enough.” The still images are from the first day of filming for Ahn Jae-Wook which took place January 13, 2016 at a restaurant in Gangnam, Seoul. In drama series “Five Enough,” Ahn Jae-Wook plays Lee Sang-Tae. His character is a single father who has raised 2 children since the death of his wife. “Five Enough” first airs February 20, 2016. 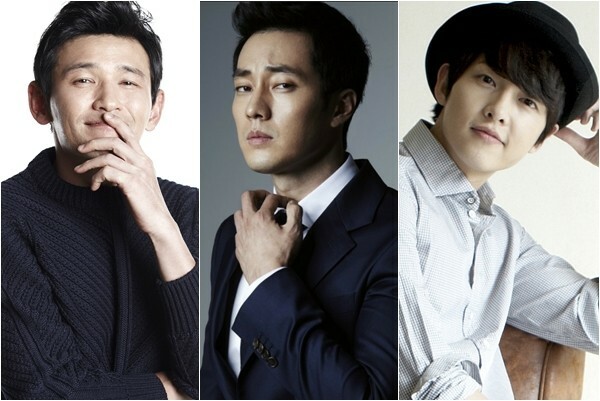 Actors Hwang Jung-Min, So Ji-Sub & Song Joong-Ki are cast in new movie “Battleship Island” (literal title) directed by Ryoo Seung-Wan (“Veteran“). Story for “Battleship Island” is set in the early 20th century, when South Korea is under Japanese occupation. Some 400 Koreans are forced onto Battleship Island to mine for coal. The official name of Battleship Island is Hashima Island and the island picked up the nickname of Battleship Island due to its shape resembling a battelship. Hwang Jung-Min plays Lee Kang-Ok. His character was deceived into going to Battleship Island. He has a daughter which he does anything to protect. So Ji-Sub plays Choi Chil-Sung. His character is a top fighter. He makes trouble on Battleship Island. Song Jong-Ki plays Park Moo-Young. His character belongs to the Korean Independence group. 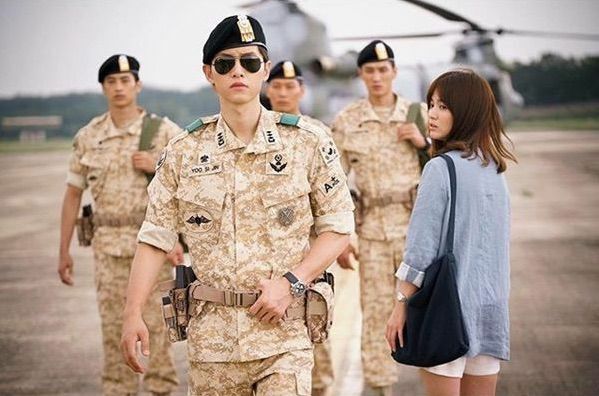 He attempts to rescue a fellow member on Battleship Island. “Battleship Island” will be released sometime in 2017 in South Korea. Here’s the first three teaser posters for upcoming MBC drama series “One More Happy Ending” starring Jang Na-Ra, Jung Kyoung-Ho, Kwon Yool, You Da-In, Yoo In-Na & Seo In-Young. Drama series follows 4 ex-members of an idol group. Two of the women now work at a remarriage agency. 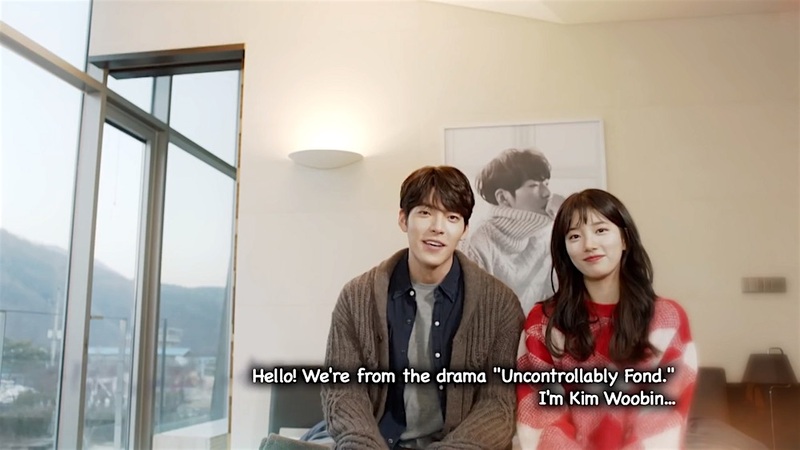 “One More Happy Ending” first airs January 20, 2016 in South Korea. 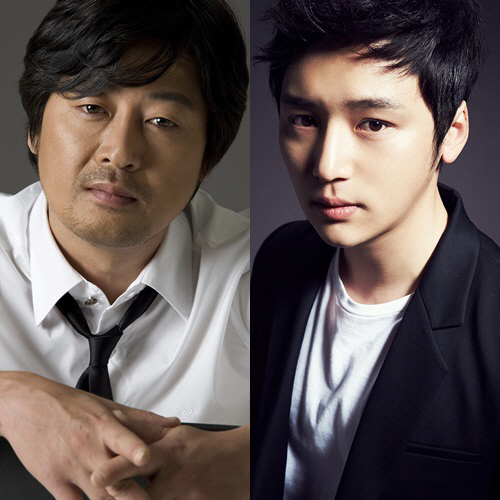 Actor Byun Yo-Han is cast in upcoming movie “Will You Be There?” starring Kim Yun-Seok. Movie “Will You Be There?” is based on French novel “Seras-tu là ?” by Guillaume Musso and directed by Hong Ji-Young (“The Naked Kitchen“). Setup for movie “Will You Be There” has Kim Yun-Seok playing a surgeon, Soo-Hyun. Soo-Hyun is terminally ill. He deeply wishes to see his girlfriend who died in an accident 30 years earlier. Soo-Hyun then gets 10 pills which allows him to travel back in time. He goes back in time to save his girlfriend. There, in his past, he meets his younger self played by Byun Yo-Han. Filming for “Will You Be There?” begins sometime in the first half of this year in South Korea. Yoon Jin-Yi and Park Min-Woo are cast in upcoming MBC drama series “Happy Home” starring Kim So-Yeon & Lee Pil-Mo. In drama series “Happy Home,” Yoon Jin-Yi will play Joo Se-Ri. She works at the Chinese restaurant Gahwamansasung. Her character possesses a free spirit. Meanwhile, Park Min-Woo will play Lee Kang-Min. His character hails from a wealth family and he is a young chief editor. First teaser poster and still images added for upcoming movie “The Sun” starring Ryunosuke Kamiki & Mugi Kadowaki. Movie is based on the theatrical play “Taiyo” by Tomohiro Maekawa and movie is directed by Yu Irie (“8000 Miles“). Premise for “The Sun” is set after a virus ravages the Earth, leaving behind two kinds of humans. The first group were infected with the virus, but naturally developed an immunity to the disease, while the second group were never infected. Release date for “The Sun” is now set for April 23, 2016 in Japan.